The clergy of the American Orthodox Catholic Church are open to providing you with an array of options available for this solemn day. We offer religious and generic spiritual services. * General Service (We will work with you to create a service perfect for you). Services with or without the remains of the loved one present may be celebrated at a location of your choice or in our facilities (when cremains are present). Pre funeral services such as recitation of the rosary or a perscribed wake service may be offered at the funeral home the evening before the actual funeral. If you have a casket funeral we suggest using the funeral home chapel for the service on the day of the actual burial. Internment services will also follow the perscribed rituals chosen by the family. 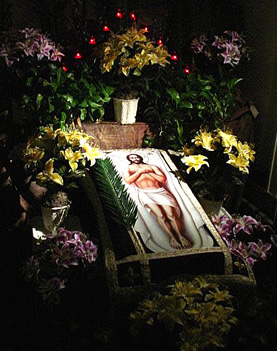 We believe that the funeral is a service for the living to express their farewell to the body of the departed. For further information, please contact a parish nearest you.